Conversation between the artist, the commissioner Antonio Arevalo and the curators of the Special Project Simonetta Lux and Alessandro Zuccari. The works with groups of people such as the motoboys of St. Paul (2002-2004), the project carried out in Africa with the inhabitants of Keita in Niger (2007-2009), the study of everyday life in the Far East (2010-2011): the person at the center. His vital need to investigate about the human being, led the artist César Meneghetti to wander along the years between the continents to discover and communicate in total contemporaneity the last frontier: “the ability to express one’s own IO”. A novelty, an idea, an inner rationalization of being able to “map” the interiority of the other, being aware of the most sublime and barely (re)cognizable side of the inhabitants of a parallel world, capable of producing different visions and alternative spaces. But alternative to what? In front of the ever defeated promises of globalization, César Meneghetti plans to look for the thought where you are not going to find anything, not even the thought. Too good to be true…, too fair to be understood… It is a sense of spiritual gratification that goes beyond every scheme and prejudice and triggers our mysterious sense of respect; for the nature that mirrors our dream, and for the human nature that mirrors our hope. To carry out this critical action in the name of complexity and multidisciplinary innovation, I let myself to be immediately involved by an intellectual and emotional attraction at first sight for César Meneghetti as an author, an artist and a witness in the Art Labs for disabled people of the Community of Sant’Egidio. The outcome of his meeting with men and women, taking a little way together of the minority by the majority and the exploitation of the one over the other. The more the society is built in the shape of a pyramid, the less are people with whom you can have symmetrical and reciprocal relations. A world in which there are scanty reciprocal affinities, is a world that lacks altruism, an unequal and violent world, leading us probably to the dead end of the tribal, twisted and persistent premise, of homo homini lupus. That’s just in the old Rome, in the outskirts and in the center, Trastevere – now gentrified, but once a peripheral neighborhood – and at Tor Bella Monaca, the suburbs where, at the invitation of Simonetta Lux, I\O started and began. At the beginning of 2010, in the Museum of Tor Bella Monaca, I met a group of people with different disabilities who attended an Art Laboratory of the Community of Sant’Egidio and realized artworks mainly using traditional techniques such as painting and sculpture. Since the beginning, I was very much impressed observing that, in the workshop, while realizing their artistic work, these people were different, as if immersed in the artist›s work and at the same time their presence in the Pavilion of the Republic of Kenya in this 55. Venice Biennale. I am the first viewer of this Special Project and I can certify how charming can be the communication and the expression of a side of the world which is considered different, too often tabooed and contemptuously marginalized. In the art of Meneghetti – free from cosmetics (often useless) or from traditionalism (sometimes stiffening) – the winner is the essentiality of language, which goes straight to the core and content of the problem: a society of prejudice inescapably generates oppression. From the culture of prejudice and indifference you can get away through the path of art, as traced by Duchamp and Beuys. Everyone in his own way and by his own instruments, as a professional or not, as a connoisseur or not, but always with the courage of interaction. And if Mike Watson states that the democratization of the word art is likely to erase the privileged role of the artist as such, I’m not scared…. Because if everyone declares to be Other than the Other he perceives, then Art is born, out of the sensibility that is always other than itself and has universally the right and the duty to reveal itself. I’m interested in the artist who not only bears witness with his skill instruments, i.e. with art, but also to the artist that puts skill tools in the hands of those who, by nature and / or culture, are completely in need of them. Paola Poponi: I\O_ I IS ANOTHER, a project you started in 2010, a work in progress (2010-2012), and now a work (2013): I wonder why you started it, and why now you have chosen to work only in one location – Italy, Rome – instead of wandering through Africa, Asia or Latin America, the scenarios of your previous works. César Meneghetti: In the past years, I wandered through civilizations and cultures, as my work in Niger can testify. They say that Rome is the mythological birthplace of our contemporary society. They say also that in the image and likeness of ancient Rome, we have built an individualistic society, with a capitalistic system and a hypothetical social pyramid based on the socio-economic control of the minority by the majority and the exploitation of the one over the other. The more the society is built in the shape of a pyramid, the less are people with whom you can have symmetrical and reciprocal relations. A world in which there are scanty reciprocal affinities, is a world that lacks altruism, an unequal and violent world, leading us probably to the dead end of the tribal, twisted and persistent premise, of homo homini lupus. That’s just in the old Rome, in the outskirts and in the center, Trastevere – now gentrified, but once a peripheral neighborhood – and at Tor Bella Monaca, the suburbs where, at the invitation of Simonetta Lux, I\O started and began. At the beginning of 2010, in the Museum of Tor Bella Monaca, I met a group of people with different disabilities who attended an Art Laboratory of the Community of Sant’Egidio and realized artworks mainly using traditional techniques such as painting and sculpture. Since the beginning, I was very much impressed observing that, in the workshop, while realizing their artistic work, these people were different, as if immersed in a liquid that made them fly. But when they were about to leave, they began to become uneasy, cloudy, at the very idea of going back to their everyday life. The more time I spent with them, the more I understood that the desire of every one was to share, to belong, but perhaps above all to be able to realize something, anything for somebody else. That is at odds with our society and its clichés. At first, I considered them as a “group.” Gradually I learned to understand the peculiarity of each one, to consider them as individuals who identify themselves and have empathy with each other and are at their ease to show it when they come into relationship / contact with one another. In order to understand this reality, you have to go beyond the first impression that comes from cultural blinders, from prejudices, from the mechanism of power. That was my primal feeling, and I let it flow into my work. In I\O_I IS ANOTHER there are different, personal and peculiar feelings and intelligences: they should not be ignored, or blurred as if they would belong to an indistinct totality. We did not overturn the pyramid upside down, nor did we carry out a violent revolution. We were just looking for symmetry and reciprocity. I started from the cube, the basic element of the perfection in Greek-Roman sculpture. It is the element of intelligence that outlines the idea or its representation. In touch with diversity, I asked myself: why do I have to spend my lifetime thinking how to create things for a few, while I can do something for many, starting from myself? Paola Poponi: What does it mean for you the code I\O? The I? The letters “I” and “O”? The number 1/0 (one / zero)? And why these signs, these symbols are at the beginning of the title of the project? César Meneghetti: We are all part of a unique body. 1/0 (one / zero) as if the ones and zeros came together and formed a single language as the ITC (ASCII), or as it happens at the basis of everything, of culture, of life. The union of opposites, the paradoxes, the dialectics, the positive and negative that generate a new energy: the ones and the zeros of the post-global society, the normal and the Other, rich and poor, white and black, North and South, day and night, atom and universe. Or even “the One contains the many and the many contains the One” as Buddha said. Or the osmosis we find in the “biopsycho-social” nature of the human development where nothing can be understood aloof from one’s own environment, from one’s own culture. Paola Poponi: How does your reference to digital combine to the whole? César Meneghetti: Today digital media are a tool within our reach, as were the inscriptions carved on the walls of the caves, sculpture, painting to represent a stream of thought, be it dominant or not. Through the cube – the Platonic theory of pre-existing ideas – we act as the sculptors of the past, who had to set free from the cube of marble figures locked in the rigor of the block. The parallelism of I\O brings to the fore a critical way to use digital culture and culture in general. Technology is constantly evolving, or rather is in constant obsolescence, just as the platforms for new media, hardware and electronic devices become obsolete and useless in a few years. An old new, a mentality of overproduction and a giddy decay of creation. Everything hastily decays: objects, ideas, feelings, ties, principles, one’s own appearance, one’s own life. Everything is grinding, and doesn’t leave time to figure out what is true and what is false, what we really need and why reality that lies before us, is built through means and media, created by a dominant system that holds its vehiculating channels of information. In this work, as in the new media, if you want to be true you have to keep faithful, but inside a mere stream of images. Any crystallization risks early death or decay for planned obsolescence. The digital age has only accelerated and brought it all to a level of thought. We are fast, attainable, universal. Nothing really needs to exist, because everything exists in a fictitious way. Paola Poponi: How does the work of César Meneghetti enter into the cone of light (or shadow) of your critical thinking? Simonetta Lux: In the works of César Meneghetti there is always a double register: a theme that stems from his distant Brazilian roots and a universalization of the issues, that are intercepted, so to say, by the migrant and nomadic condition that he shares with most of the artists in our globalized world. If the beauty of the outcome could suggest a new formalism, especially in the series Montage (1999-2003), the mode d’emploi of media and the formal excellence sometimes strained up to abstraction, do not exclude the subject, indeed we are witnessing a “rediscovery of the center”, an unendingly moving center, a nomadic center in an endless tangle of individuals and places or contexts; therefore once again the ethical-critical component becomes the new protocol of art. A new subjectivity, without expression, but savvy, The socio-political background is increasingly important and Meneghetti is constantly trying to channel this commitment in movie works. A cross look that is inescapably political, because we do not observe the reality from a single point of view. Paola Poponi: In his research, the artist refers to the psychiatrist and researcher Daniel Siegel of the University of California, and to “interpersonal neurobiology”. I wonder: can this position be attributed to the process of art that Bourriaud called relational aesthetics and that is de facto inherent to the project I\O_ I IS ANOTHER? César Meneghetti: We know that the function of our nervous system is closely linked to our personal relationships, to important affective characters of life and to the relationship we have with our culture. This process can be interrupted or enhanced by the brain during our life in society, if based on exploitation and competition, but a reverse, positive process can be activated, establishing opposite conditions of life and of relationship in the opposite direction. Alessandro Zuccari: César Meneghetti has long explored the feedback of the subject to negative interferences; he was the first artist invited by the Art Laboratories to face this process, explored during years of activity, where the intelligence and the possibility of expressiveness, incommunicado in disabled people, have been shown. As an artist, Meneghetti made this invisible potentiality visible. Simonetta Lux: Through the device of Videocabine #03, consciously or not, he has conducted a mutual interview, in tune with the idea of the face-to-face dialogue of Franco Basaglia. Therefore in the dialogue, i.e. here, in this interview, realized in a place which is protected and violated by the camera, there are unexpected, positive responses/reactions beyond already glimpsed possibilities. The artist, the director, tested uncharted waters, leading art to where nobody had gone before. Fear of space, intolerance to excessive sound levels, concentration difficulty, blindly done emotional research – as in the laboratory of movement, activated by the choreographer Cristina Elias in collaboration with Meneghetti – were barriers now completely fallen, as it appears in In-Visibility Zone (2013). Paola Poponi: But then, what is art doing? And how can this process-project become Art? Simonetta Lux: Documentation, theoretical workshops and shooting of 30 disabled people with the artist, a few critics, some volunteers, represented the first step of the project, realized above all thanks to the meeting between César Meneghetti and the group of people, heterogeneous in age and in physical and social conditions. Heterogeneous even in disabilities, that are sometimes mental, sometimes physical, and sometimes physicalmental. These disabled people have been developing for years a research in expression and communication, through the creation of artworks in the Experimental Laboratories of the Community of Sant’Egidio. The most important ateliers are the ones at Tor Bella Monaca and in the neighborhood of Trastevere, where Meneghetti used the so-called VIDEOCABINE for a preliminary investigation and a comparison named Verifica #01: interviews, recording of voices, phrases, life stories in direct. 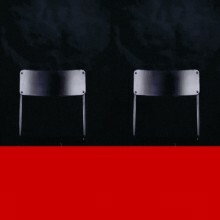 It has given rise to a relational experience, while the artist started a second part of the interview, the Verifica #02. It is an open process of teaching in which – through comparisons and bilateral interviews – contemporary tools of the language of communication and art, were offered to the group, not caring – as he constantly reminds us – the asymmetry of the different conditions, but aiming to obtain, in a horizontal relationship, responses/works (photos, videos). People impaired with both verbal and body disabilities were included, because they had anyway right to the expression, as in Verifica #04, about movement. and others black; some in peace and others in war; some weeping and others laughing; some well, others ill; some being born and others dying, etc.” This text fits perfectly with the last project that César Meneghetti shows us at the Biennale, I\O_I IS ANOTHER, a project where the other is so present that, at times, he can be mistaken for the artist himself. Paola Poponi: Work #01 VIDEOCABINE #03, a mono-channel video installation, can be considered the origin of the devices exhibited in this 55. Venice International Art Exhibition? César Meneghetti: No, it’s just a part of the work done over the last few years with them, fruits of my research about them. For more than half an hour we sit in front of a video, not only in order to listen, but also to interact, and in a way to interface, to delve into the intimacy of the life not only of 30 disabled people, but perhaps also of our own life. Work #01 is an anti-film, an anti-video with a lockdown shot, but thousands of inside variations. It’s a choral and private dialogue with 30 voices for a single viewer, the audience. Antonio Arévalo: We obviously take pleasure in the poetry of the images, in the words of his interlocutors looked at with new eyes, without prejudice and it is obvious the artist’s ability to generate streams of thought and images and to find a new and sensitive way to tell everything. Nothing happens, aside from the experience of meeting with the Other. I happen to remember some famous words by Ignacio de Loyola: “The first point is, to see the various persons: and first those on the surface of the earth, in such variety, in dress as in actions: some white and others black; some in peace and others in war; some weeping and others laughing; some well, others ill; some being born and others dying, etc.” This text fits perfectly with the last project that César Meneghetti shows us at the Biennale, I\O_I IS ANOTHER, a project where the other is so present that, at times, he can be mistaken for the artist himself. Paola Poponi: Which kind of change does the interchange of the reality principle (the actual acting, feeling, getting excited) with the language of the so-called performing arts with film, video or photography, bring to the world, to the culture of prejudice or to the person itself? César Meneghetti: This work, or rather this path, with different-skilled people, made me think. Does really man need a surplus of production, millions of bits in virtual form in the bank, to be happy … Or just to be? The crisis and the wars are a real problem or it’s just another form of control? Does man need to be in a stereotyped way, to comply with patterns dictated by a small group? And they, what do they think about themselves? Does man need intelligence to be creative or to make art? Does man need a perfect body to simply be? With these four Verifiche (Tests) I asked a question and they answered. Paola Poponi: You were talking about loneliness, of and in this process of knowledge, communication and creation? César Meneghetti: That’s our agony: man is alone, with his egotism, his fears, his anxieties. The I, and the Other, inside and outside ourselves, in a world of people that do not care the suffering of the others, the violence that surrounds us and which, often, we do not oppose enough. The dominant culture in a society refers to the interests of the dominant group in that same society; to stagnation, non-transformation, petrification and death. But the living ones are those who are unfaithful to the system, misfits, lunatics, visionaries, who are shivering with cold, fearful, crying, fragile and precarious. They are a minimal tribe, but a dormant majority. And I can only dare to discover the truth when I begin to get out of myself and feel how unstable and baffling is the imposing reality around us.